Are you a little bummed out at your 0.0000000001% response rates for your online ad campaigns? Angered over Mozilla and others turning cookies off by default in their browsers (so you can't properly target your potential customers)? Or maybe your miffed your "blind buys" result in your brand appearing on questionable sites? Yea, the current online advertising model in totally broken. You need to check out inbound marketing. Better yet, you need to hire an inbound marketing expert. That may seem daunting if you don't truly understand inbound marketing but, never fear. 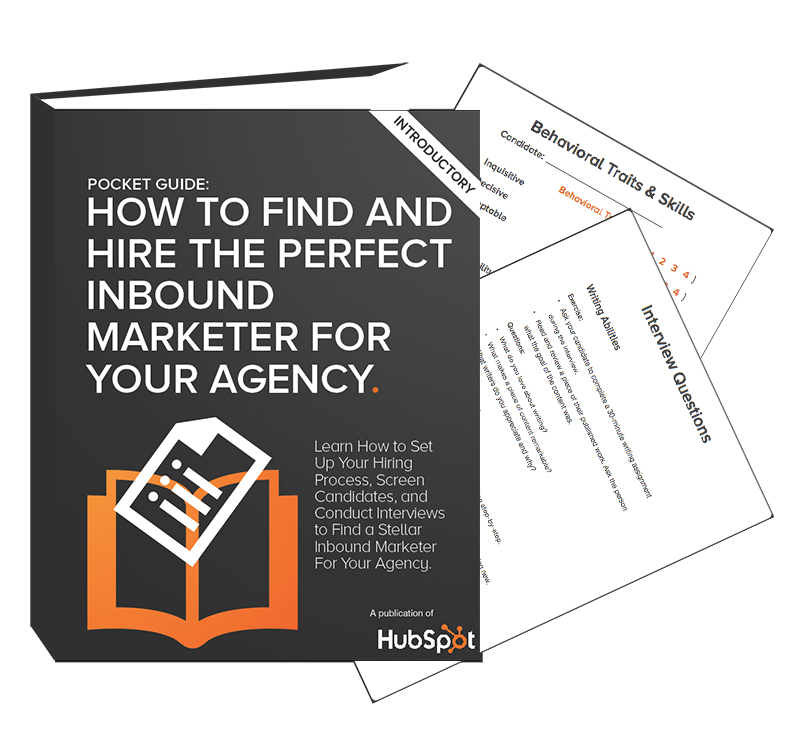 HubSpot has published a pocket guide to hiring the perfect inbound marketer for your agency. Get with the program. Inbound marketing is where the puck is headed. Don't get left behind. Download this guide and learn how to hire the perfect inbound marketer.